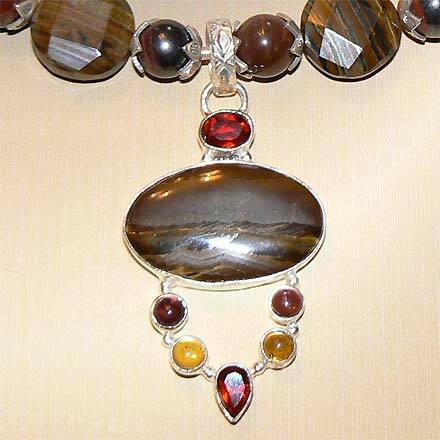 Sterling Silver Tiger Iron, Garnet and Citrine Necklace. See Closeup. Sterling Silver Tiger Iron, Garnet and Citrine Bracelet. 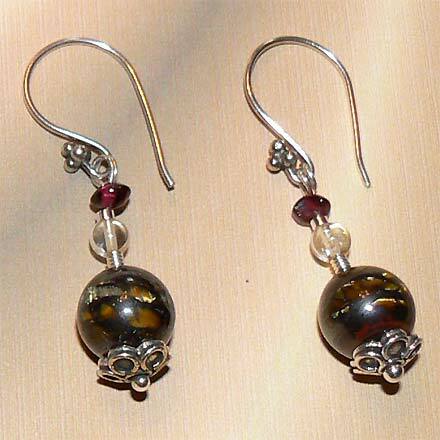 Sterling Silver Tiger Iron, Garnet and Citrine Earrings. 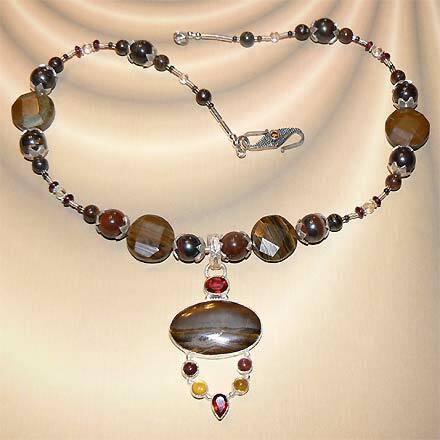 This contains some beautiful examples of Tiger Iron, which is a combination of Tiger Eye, Hematite and Red Jasper, highlighted with beads of Garnet and Citrine. I'm not alltogether sure if the small stones in the pendant are true Garnet and Citrine, but the landscape created by the large Tiger Iron is just incredible, especially the way it moves with the light. Necklace comes with a Garnet clasp. For those who are interested in Astrological significances of stones, Tiger Iron and Garnet correspond with Capricorn. 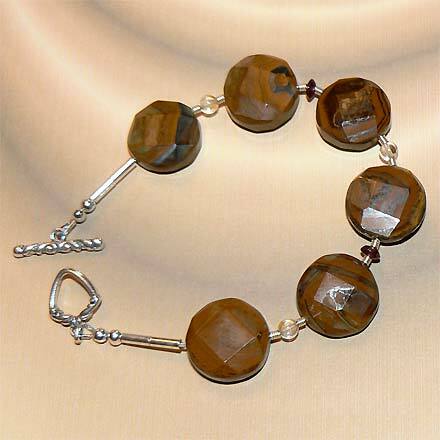 Garnet also represents Aquarius and the month of January, and Citrine is November's birthstone.